Evergreens are hardy plants that remain green and attractive even during the deepest depths of winter. However, even these tough guys can feel the effects of winter chill. 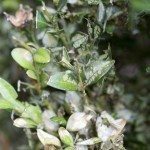 The cold can leave evergreens looking bare and bedraggled, but unless the damage is substantial, cold injury in evergreens usually isn’t deadly. Winter burn occurs when evergreens dry out during the winter. 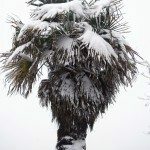 This happens when moisture evaporates through the leaves or needles and the roots are unable to absorb water from the frozen ground. 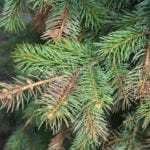 This is most common when evergreens are exposed to cold winds and periods of warm, sunny days. A winter-burned shrub displays dry leaves or needles that die and drop from the tree. However, the damage may not be apparent until the temperatures rise in spring, when growth turns reddish-brown or yellow. Water winter-damaged evergreens thoroughly in spring, then keep an eye on the plants as they send out new growth. In time, the growth will probably fill in the bare spots. If the shrubs display dead branches or branch tips, cut the damaged growth back to about 1/4 inch above a live bud. Evergreens are more likely to withstand winter cold if the plants are well-watered throughout summer, fall and early winter. Plants that suffer drought are weakened and more susceptible to damage. As a general rule, each evergreen should receive at least an inch of water every week. Don’t depend on a sprinkler to do the job. Use a soaker system or let a hose trickle at the base of the shrub so the water saturates the root zone. 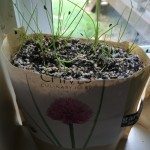 If the ground thaws during the winter, use the opportunity to give the plant a good soaking. A 3- to 6-inch layer of mulch spread around the base of the shrub helps protect the roots and conserve soil moisture. Extend the mulch out at least to the dripline, the point where water drips from the tips of the outermost branches. A commercial anti-transpirant, which forms a protective layer on stems and leaves, is often a good investment, especially for young plants or susceptible trees/shrubs such as arborvitae, rhododendron or boxwood. Read more articles about General Shrub Care.